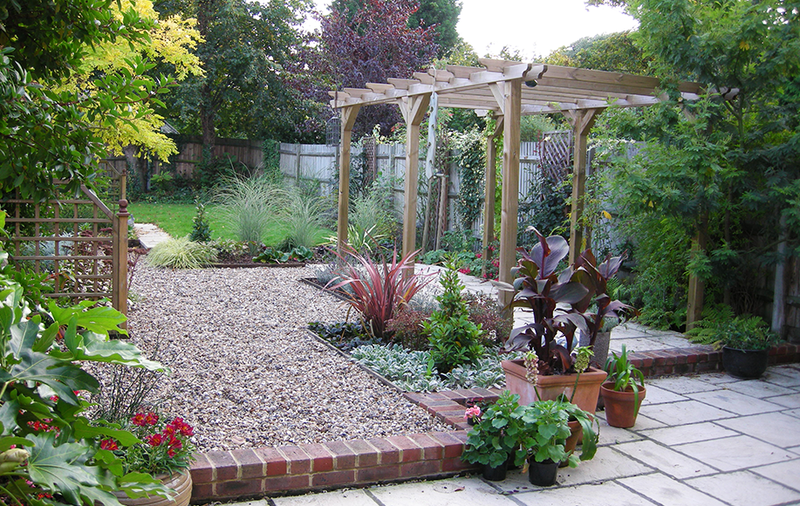 The brief suggested a redesign to reflect the owners’ keen interest in plants, to be sited within different areas of the garden. The children had grown up, the basketball hoop and goalposts could be dispensed with, and the garden could be reclaimed for adult interests. 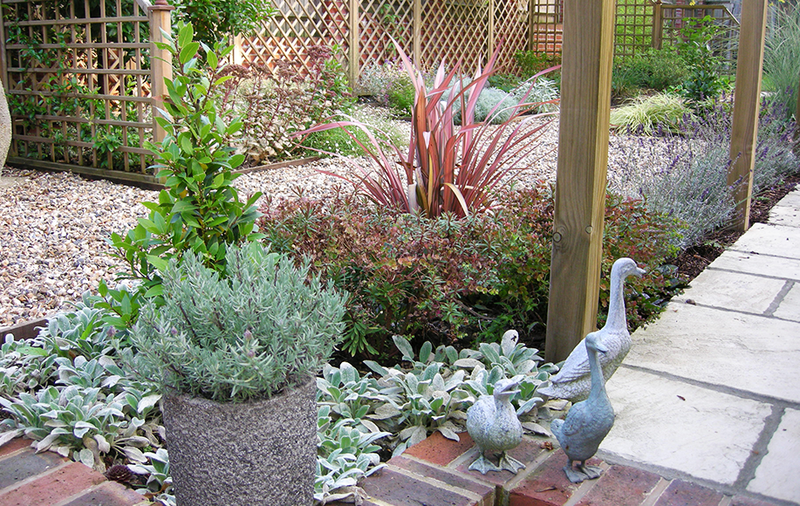 The garden is divided visually with different hard landscaping and plants. 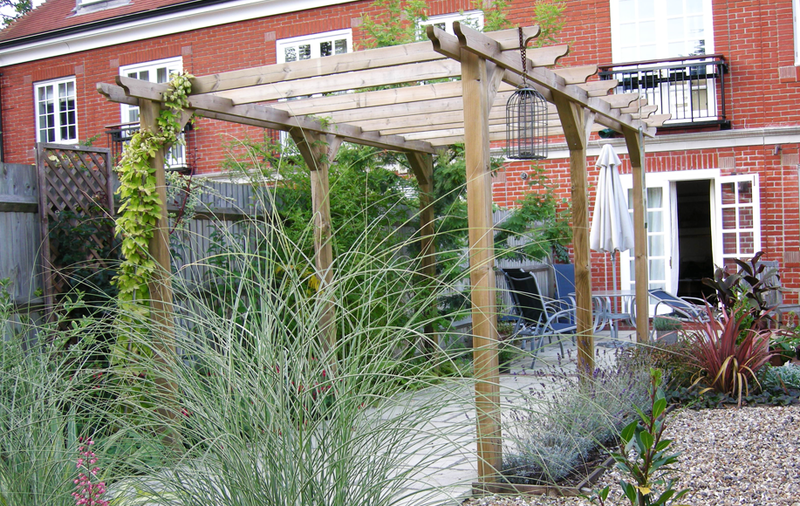 There is a large terrace, a pergola, lawned area and gravel garden. 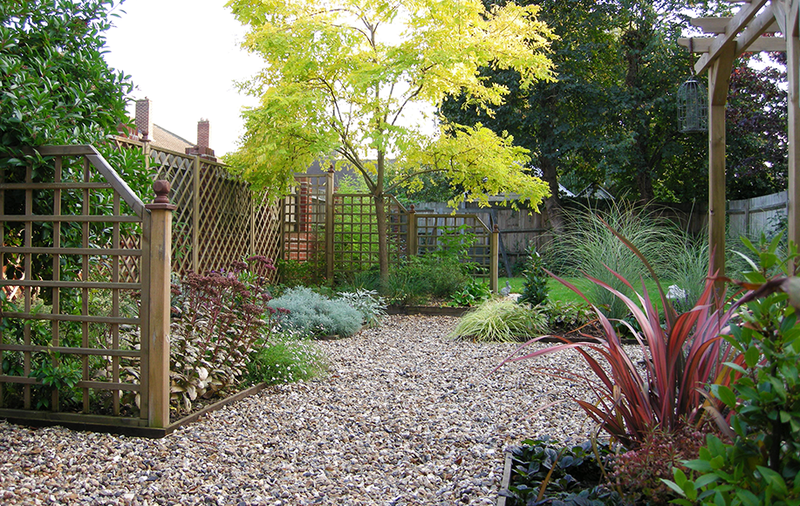 The existing tree, Robinia Psuedoacaia ‘Frisia’ remains, with an attractive mix of evergreen and flowering shrubs, seasonal perennials, climbers and ground cover plants. The boys’ hoop is still in evidence, but now the adults have plenty of space for entertaining, relaxing and tending their plants.